Chandigarh, February 12: The Cooperation Minister, Punjab, S. Sukhjinder Singh Randhawa has denied the news reports appearing in a section of the media pertaining to the loan waiver of the farmers of village smaagh in District Sri Muktsar Sahib. The minister making the situation clear has said that as per the rules, the loan of eligible farmers is being waived off by the department. 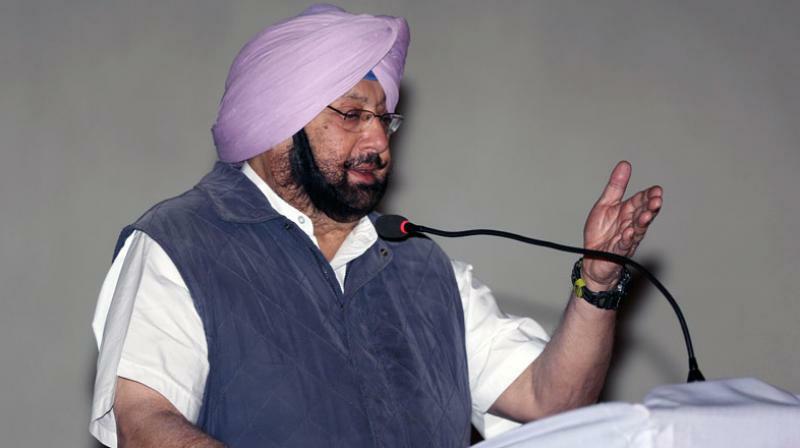 The minister further said that the government headed by the Chief Minister, Captain Amarinder Singh has till now waived off the farm loans to the tune of Rs. 4500 crore without any bias. He also said that in a first, the Punjab Government had chalked out a comprehensive plan to pull the farming sector out of the economic crisis which is not being digested by the opposition owing to the schemes’ success that explains why the political rivals are indulging in the misinformation campaign. He also added that in village smaagh of District Sri Muktsar Sahib, 37 farmers have been given loan waiver certificates to the tune of Rs. 27.92 lakhs. S. Randhawa also disclosed that in the probe conducted by the Deputy Registrar Sri Muktsar Sahib related to village smaagh, it has come out that those farmers with regard to whom the claims of non-waiver of loans have been made include Baldev Singh whose loan worth Rs. 16572, Rs. 35819 loan of Gurjant Singh, Rs. 49378 loan of Jaspal Singh and Rs. 82702 loan of Krishan Singh S/o Mithu Singh have been waived. Whereas in the photo published in the media, the farmers shown namely Hardeep Singh S/o Nirvair Singh, Krishan Singh S/o Surjit Singh and Mithu Singh S/o Sant Singh didn’t had any loan of cooperative societies standing against their names. The others namely Pritam Singh S/o Harnek Singh and Bohar Singh S/o Darshan Singh are not even members of the society. The land of a woman namely Lakhwinder Kaur W/o Darshan Singh shown in the videoclip falls out of the jurisdiction of Smaagh Multipurpose Cooperative Society. S. Randhawa reiterated that the State Government is fully committed to waive off the loan of every eligible farmer. He challenged the opposition parties to stop the misleading campaign against the achievements of the Punjab Government and instead come forward to tell the common people regarding their own achievements, if any.